. I’ve chosen a simple rock decorating activity to go alongside it. It’s a bit of a rock painting cheat, really, as we’ve used Sharpie pens to decorate the stones instead of paint. 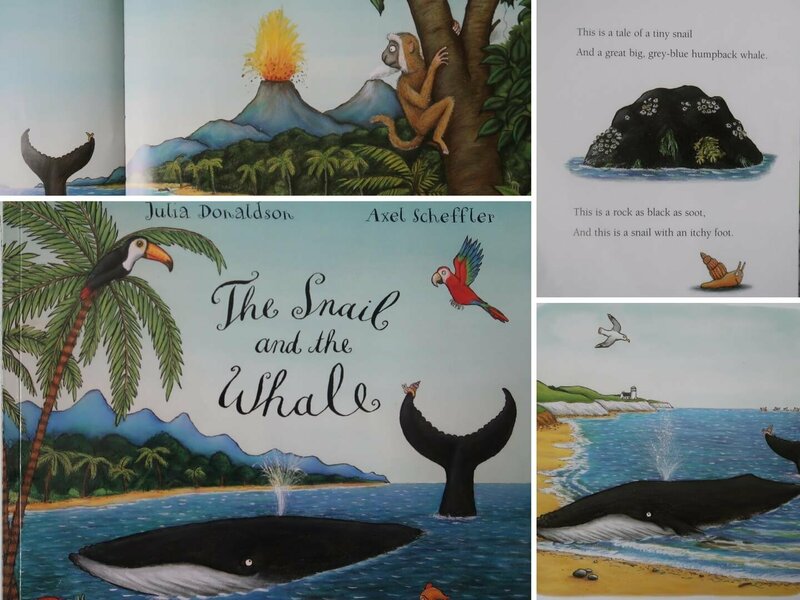 The Snail and the Whale – What’s the Story? The Snail and the Whale is about a tiny snail who longs to travel the world, and a humpback whale who allows them to come along for the ride on their tail. They enjoy a wonderful adventure together until the whale becomes beached; can they be helped before it’s too late? 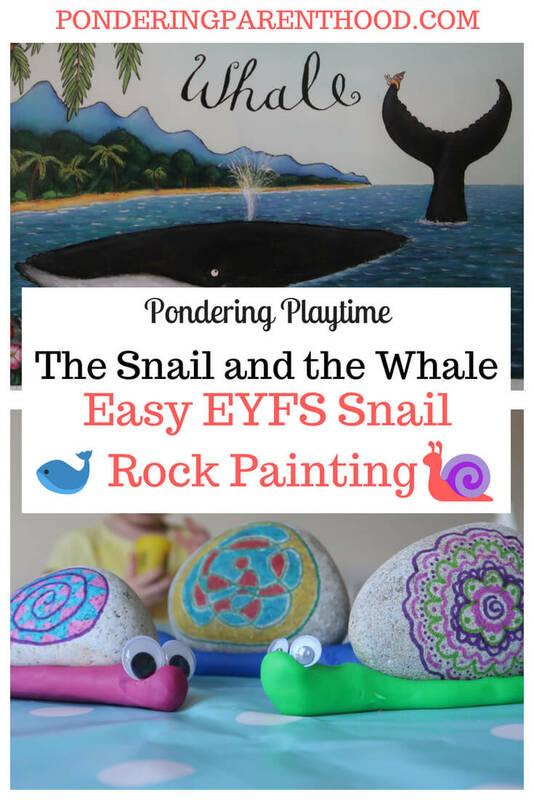 I’ve seen so many rock painting activities around lately, including this one on Facebook, which sparked the idea for this activity. We do lots of painting so I wanted to do something a little bit easier and a little less messy. 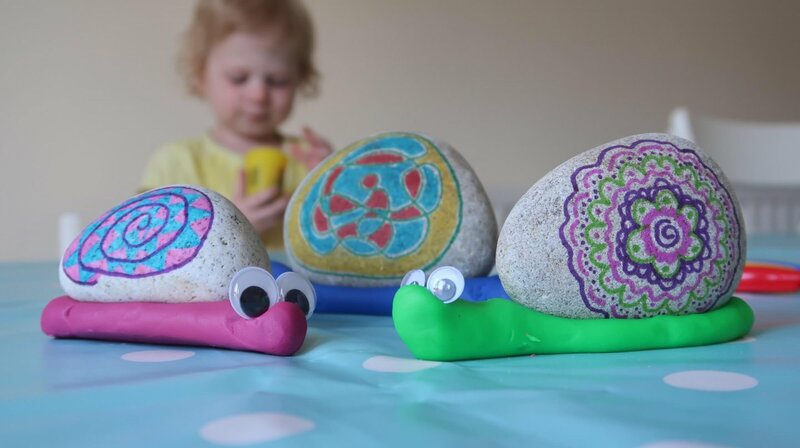 So instead of paint, I ordered a pack of multi-coloured Sharpie pens and we used those to decorate the rocks instead, and made the snails’ bodies out of Play-Doh. Some googly eyes finished off the snails nicely! We’ve had a copy of The Snail and the Whale for over a year and it’s one of those books which is read at least every other day. M loves looking at the illustrations, and has favourite things that she likes to point out on each page; the dolphins, the monkey, the dog in the speedboat. 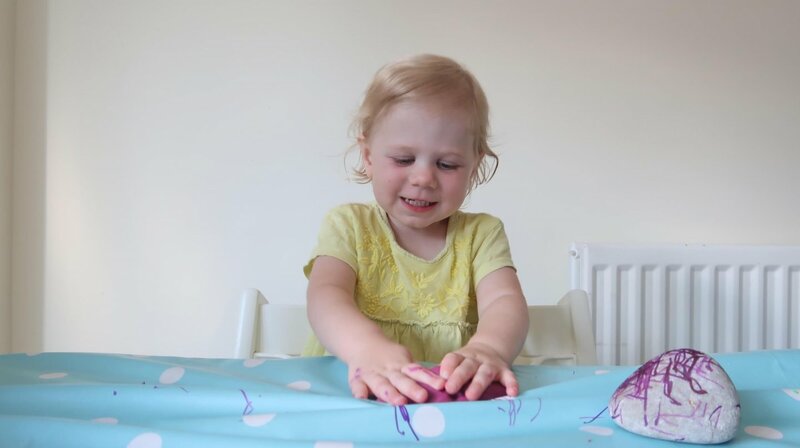 As for the activity, M made no secret of the fact that purple is her favourite colour at the moment! 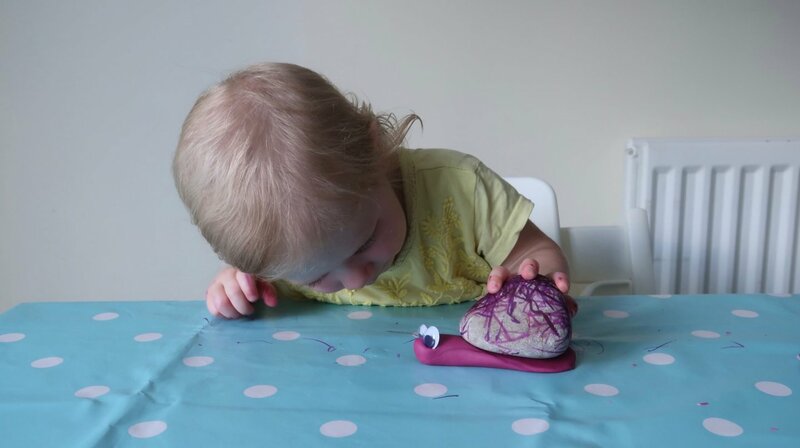 She insisted on sticking to just two different shades of purple to decorate her rock, and wanted the snail’s body to be purple, too. 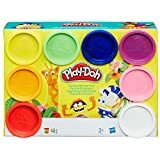 She loved getting her hands on the Play Doh and enjoyed pulling, rolling and squeezing it. 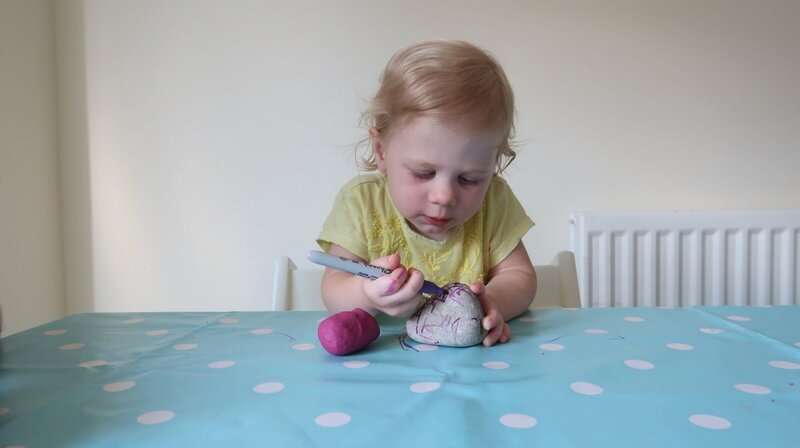 There’s definitely more that you could do with this activity – M’s daddy made a turtle! You could also use mod rock or clay for a more permanent sculpture. Julia Donaldson books are a big hit with my children. This is the perfect activity to help bring the story to life. We love them too! Thank you, let me know if you give it a go!